I have been getting geared up for my new collection for Fall / Winter 2013 but this time around I am not making lingerie. I feel a little lost and lonely about it but actually when I cut my job list down I find there is more time to develop new techniques and try out new ideas. It is actually liberating. This will be my first steps towards creating textile collections but still having the R.A.W. label live on. There is so much more I can give to our environment and the textile industry by taking this route versus continuing my own small collection of lingerie. Well, enough said, but more to come. 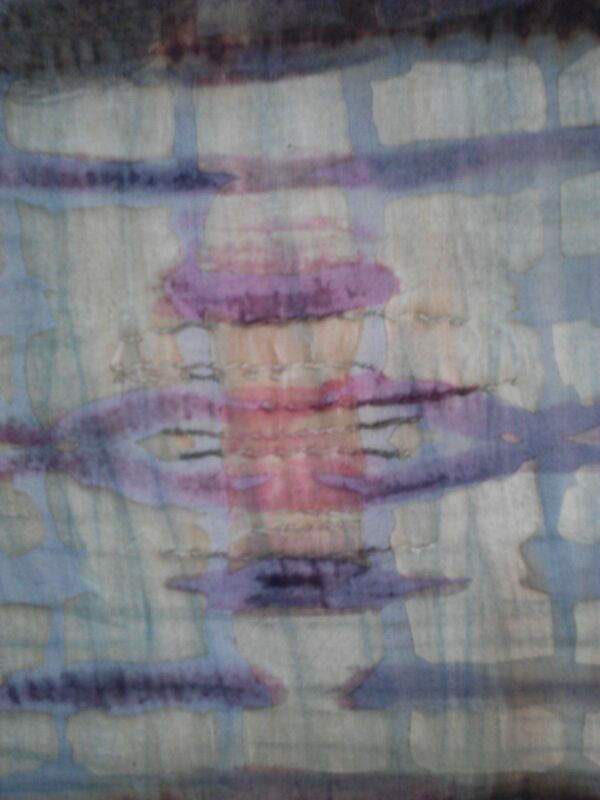 I would love to share some of my latest experiments with you. The newest technique I have tried is Katazome. 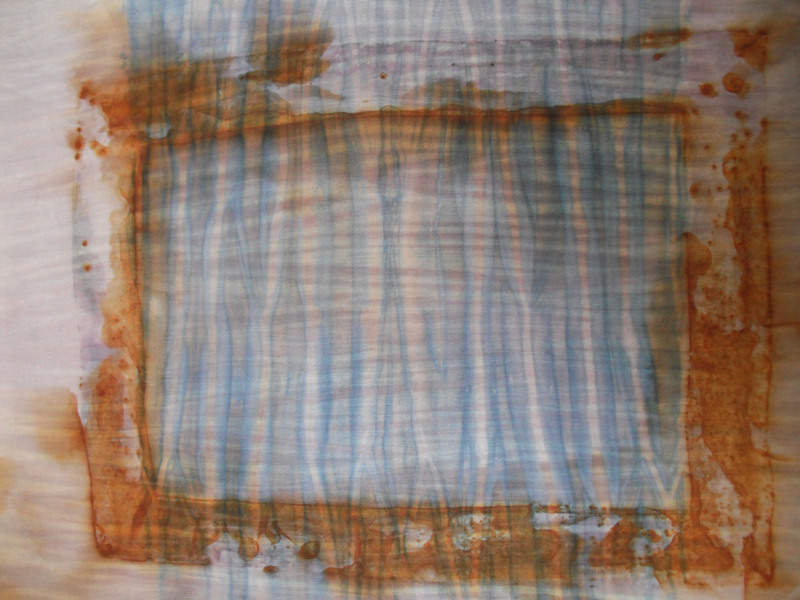 This is a Japanese paste resist method which is very specific in terms of supplies and the flour paste used. I had the wonderful opportunity to meet up with a local master, Karen Miller, who gave me a few tips to get me started. While working on my tests I have been reunited with soy milk as a starch and mordant. 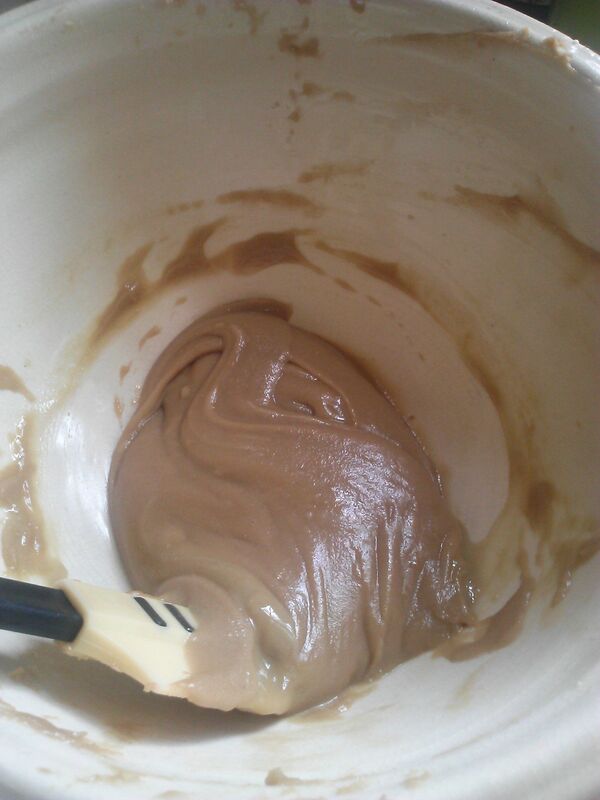 It is very simple to make from scratch and it lasts for quite some time in the fridge. 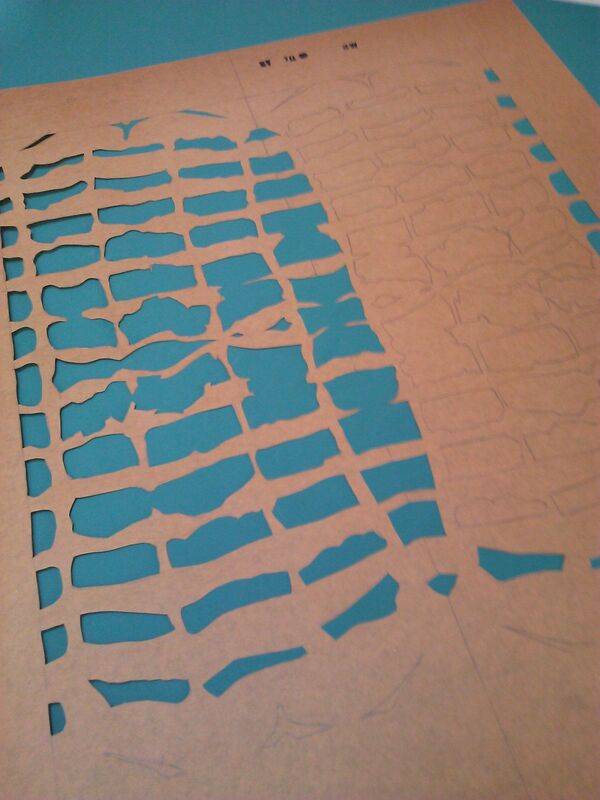 First thing to get started is making and/ or cutting a stencil. I am using a synthetic paper similar to the original mulberry Shibugami. 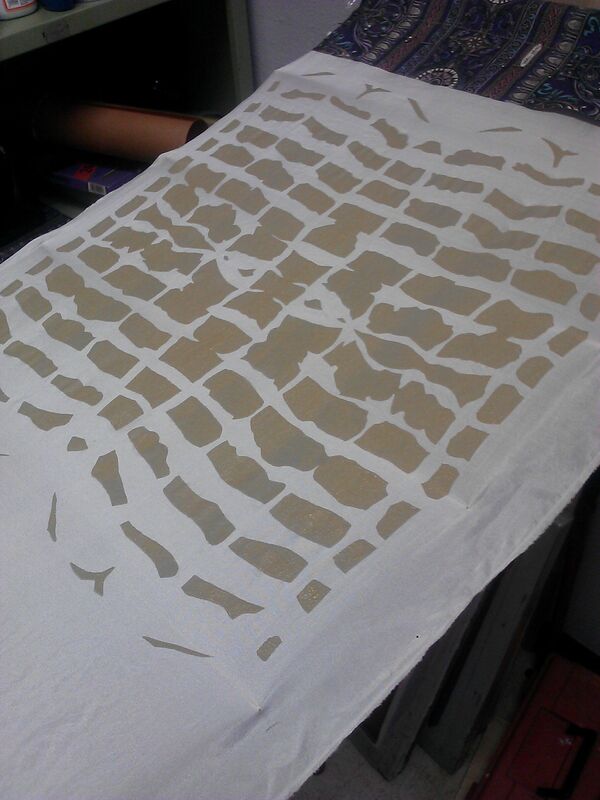 Next I screened paste through stencil and hang to dry with stretchers and shinsi sticks. 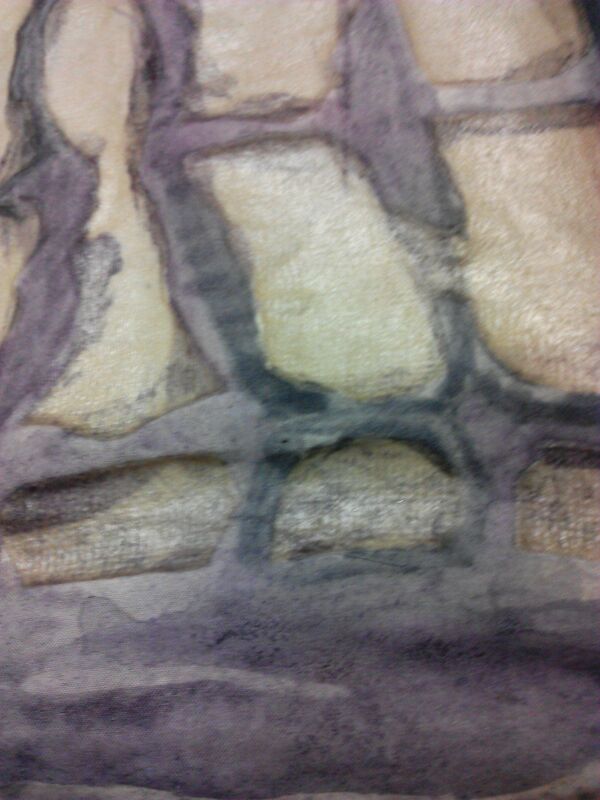 After the paste dries I started experimenting with painting. 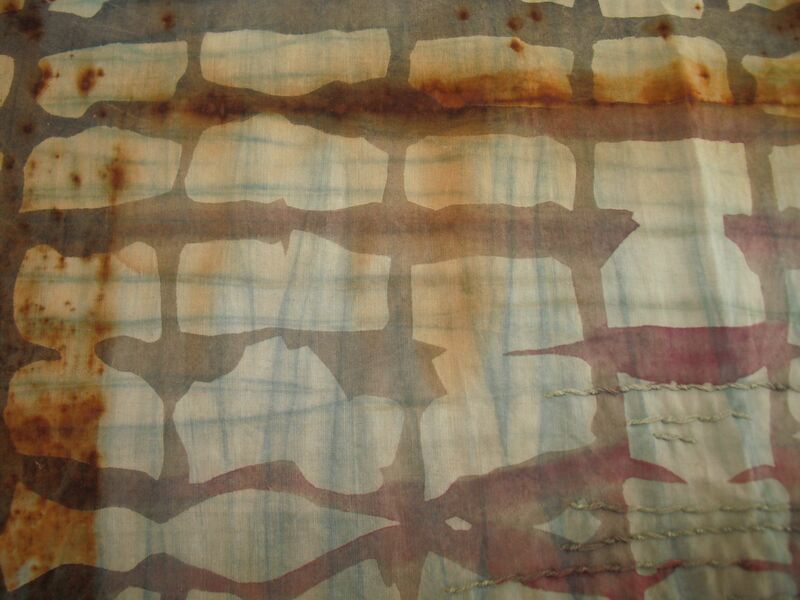 Traditionally pigment is used but I like natural dyes so I used both. 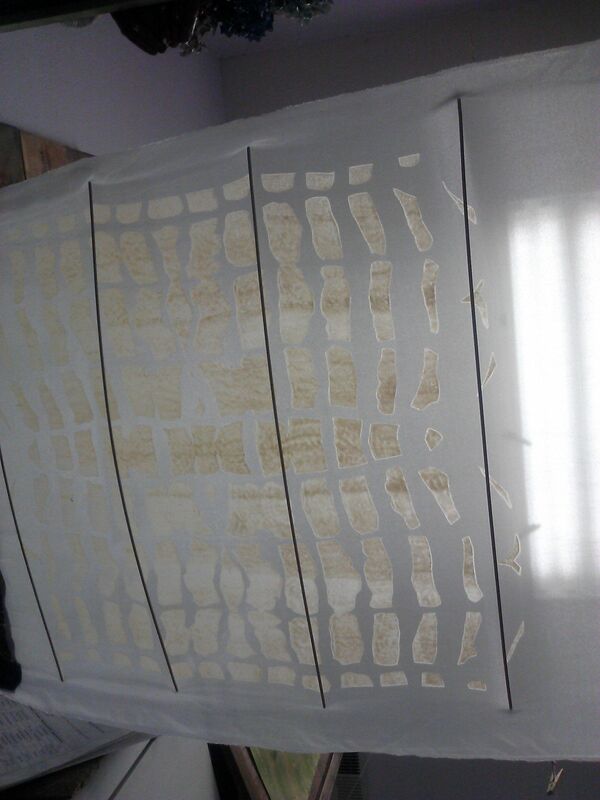 After this dries, it is time to steam and wash paste out. This particular piece was one of the original panels called intersect. 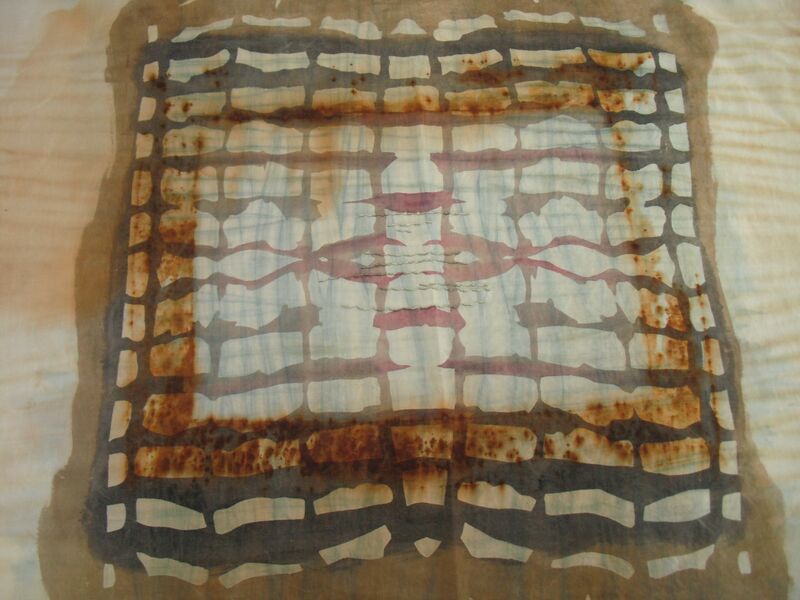 I like the way the dye covers the original pattern but can still be seen and is revealed in its purity through the resisted parts. This is the one of the originals before I applied the Katazome technique.